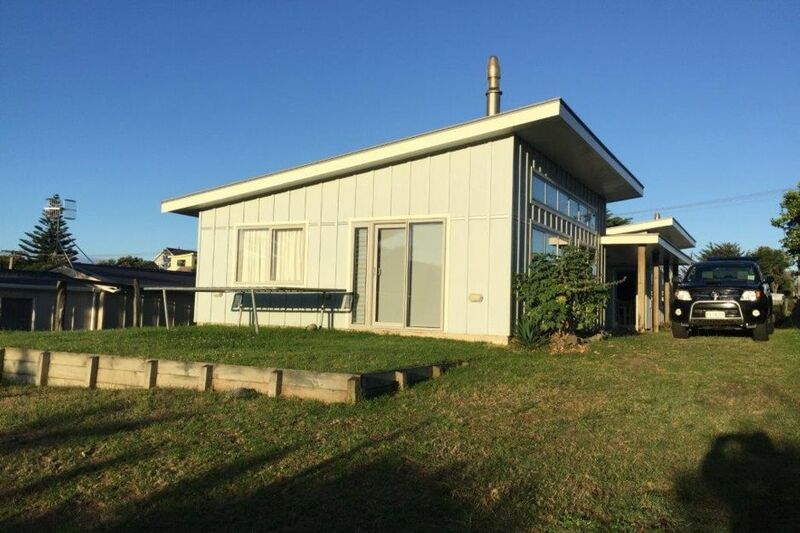 Relax at Whitecap Apartments 100 meters from the waters edge at Waitarere Beach, with beach access across the road, a leisurely stroll down to the surf lifeguard patrolled area, or take a walk along the road and onto the many walking tracks throughout the forest. Or sit back with a glass of wine enjoying the sound of the ocean on your deck chair with a gentle breeze to keep you cool. Fantastic location just minutes walk to beach. If you get a chance the playground at the Forrest at end of Road - Middle earth is fantastic for kids. Great set up for extended family, fireplaces in both, heating the studios very quickly. There is only the one stovetop in front unit. Pool table was a big hit for kids/adults alike. Communication was easy and quick. Lovely bach. Primo location. The best we've stayed in over the 10 years we've been coming to Waitarere. Modern enough to have everything we needed, excellent shower pressure & warm/ cool at the right time, but not fussy or too much like home that you don't feel you're in a bach. The separation of the two wings is ideal for families - kids, teens, grandparents, friends- everyone gets their own space. Only recommendation I'd make is for a big fridge/ beer fridge! Thanks Dee & Brent. Look forward to coming back in Winter so we can make use of the log burner. We found the apartments very clean and comfortable. We were impressed with the layout and decor. A big plus was the warm fire with plenty of good dry wood and pinecones on a cool day. Would love to return soon. Great property modern, clean and very welcoming with all necessities and fantastic modern utilities. Great property modern, clean and very welcoming with all necessities and fantastic modern utilities. So lovely to have both apartments wood basket full and kindling at the ready ! Def will be back! Very versitile property close to the beach. Very nice property, as described on book a Bach and wouldn't hesitate in recommending.